Throughout our events work with various clients one problem has been expressed time and again: that businesses lack a means to quantify the value of their events. For companies participating in dozens, if not hundreds of events around the world every year, they want a way to evaluate which events are worth more than others in order to prioritize spend. Understand how many people your company knows at an event. 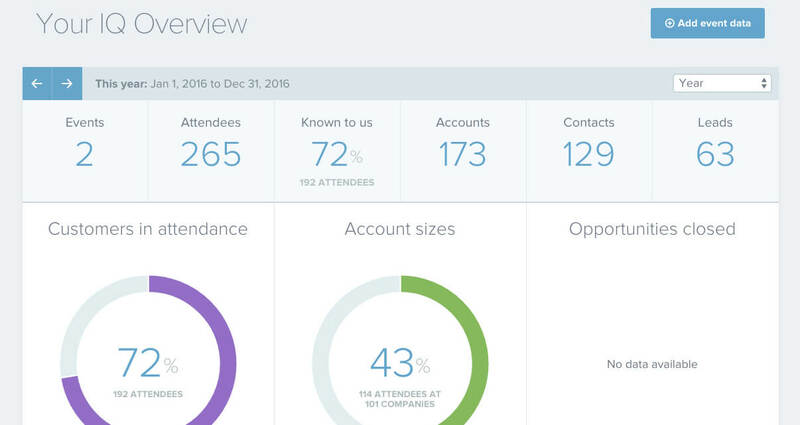 Event IQ will show you contacts at companies you work with at a given event, new contacts from companies you work with, and leads that are known to you, all on a per-event basis, or as a dashboard roll-up for the year, quarter, month or week. Understand the value of customer relationships at an event. 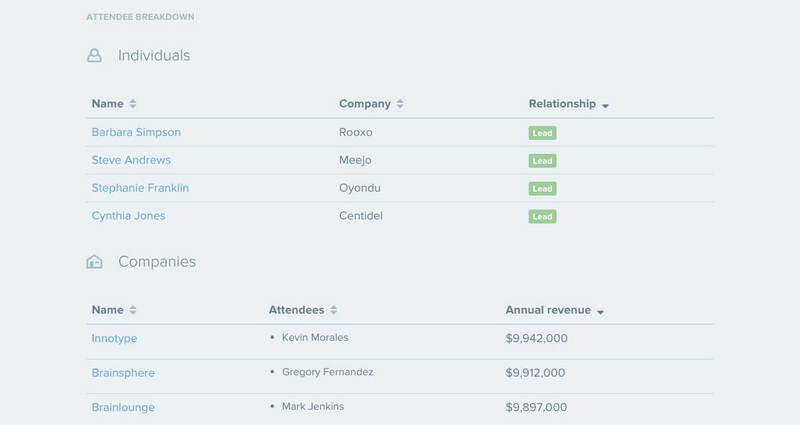 Event IQ will show you the size of known customers and let you filter them by revenue to more easily determine which events the “big fish” are attending. And help tie events to revenue. 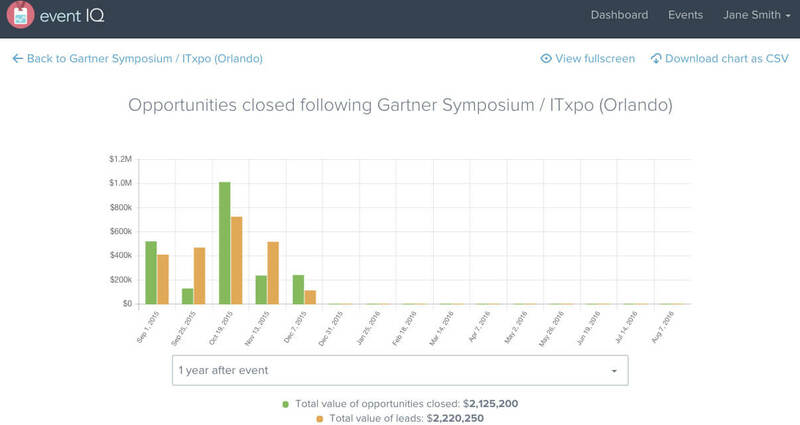 Event IQ will show you deals that have closed or are in progress with known customers after an event to help you better understand how events can influence sales cycles. 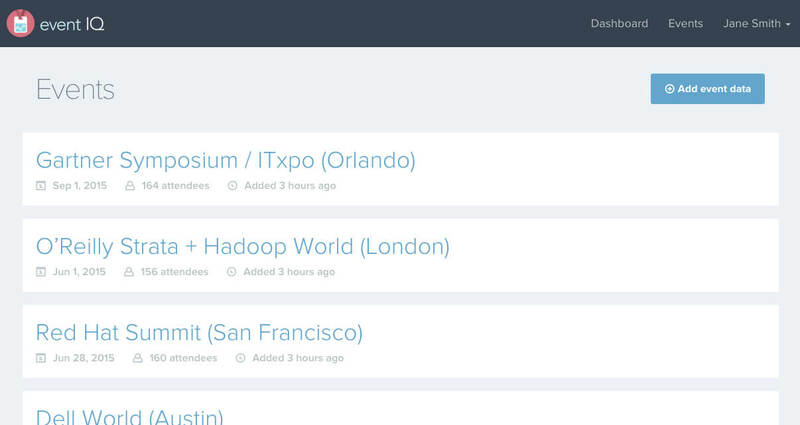 For the events team, Event IQ helps you prioritize and adjust event spend based on which events your customers are attending, helps you segment your customers at events so you know where the most valuable customers are, helps you tie events to revenue and influence sales, and further moves the events role into the realm of sales enablement. Want to learn more or arrange a demo? Visit event-iq.io and request a demo. We’d love to hear from you! 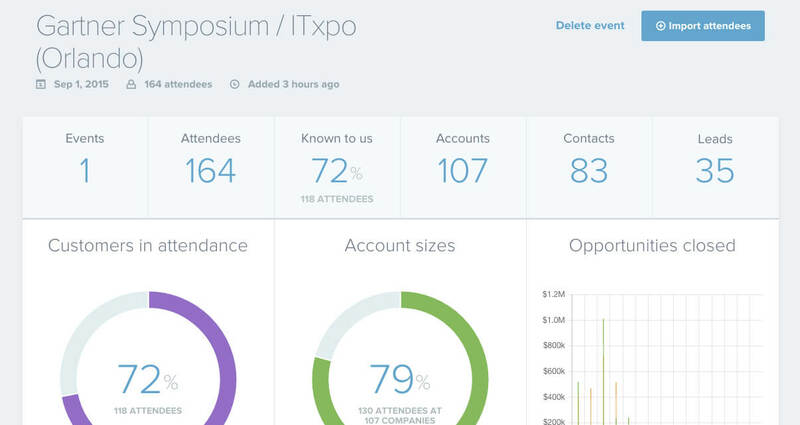 Event IQ is a simple, intuitive add-on to Salesforce that lets you link event attendee lists to your customer data.